In 1959, Harley Keeter, Jr. (Buddy) and his wife Joy founded the Keeter legacy with a KB8 International hauling bulk farm products. Their business started with a dream, a commitment to hard work and enduring faith. Over the years, Harley Keeter Jr. 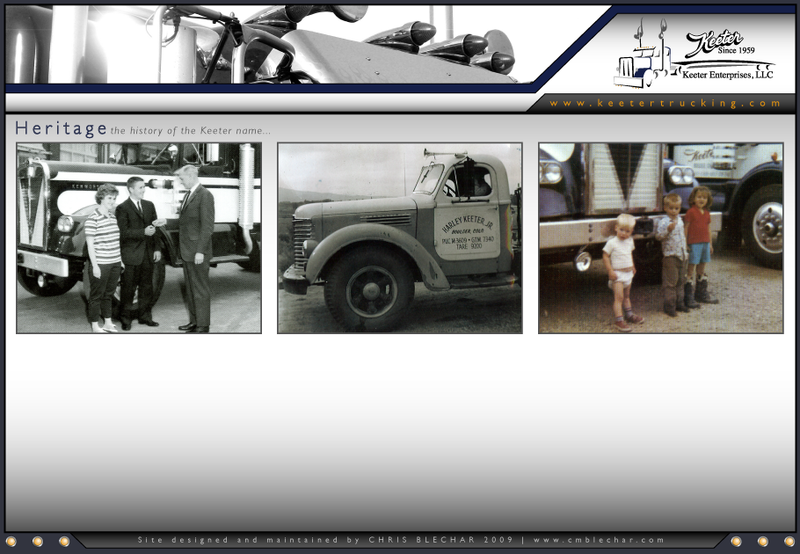 Trucking & Excavating has evolved with the needs of the transportation industry. Today Buddy’s son Paul owns and operates Keeter Enterprises, LLC and has a fleet of OTR trucks and vans running lanes across the country and a brokerage committed to moving any type of freight throughout the 48 continuous states. Both Paul and Ben grew up eating, sleeping and breathing trucks. This passion is seen every day in their commitment to serving customers and keeping the legacy their parents started years ago alive for future generations. Owned and operated by Paul's brother Ben, Harley Keeter Jr. Trucking Inc. still does the local excavating, sand, gravel and equipment hauling that Buddy started years ago. They also have a full service shop in Boulder, CO and offer snow removal services. You can visit their site at www.keeter.com.